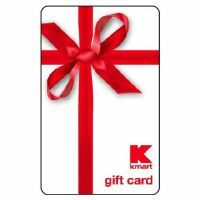 CNNMoney.com has announced that Kmart has finally reached a settlement in the gift-card lawsuit. And that could be very good news for you if you had a gift-card issued between May 1st 2004 and the present day. Why the refund? Well, since 2003 Kmart failed to disclose sufficiently the $2.10 per month dormancy fee that would be charged RETROACTIVELY after 24 months. Basically, your entire gift card could be wiped out if you tried to use it for the first time after 24 months and it was worth about $50 or less. If you believe you qualify for a refund, you will need to provide the gift card number(s) in question, along with contact information. Kmart will be putting up info about the refund program on its main website soon. If you have any questions or concerns about the refund program, you can contact the FTC's Consumer Hotline (202-326-3569). Tagged: Consumer Affairs, Shopping, consumer rights, dormancy, FTC, gift cards, Kmart, lawsuit, unfair fees. Did they give a legit reason for charging fees for something like that in the first place? I know it's illegal to have expiration dates on gift cards in many states now, but I wonder what's line the stores use when explaining that they aren't going to honor money spent. I did some research on how much money corporate america is gaining from unsed cards. I couldn't find the info for Sears Holdings but I compare the profits to the dividends companies pay. I'd be interested to see what you think. I've included a link to the blog below.